Can we have a Fair Trade economy? This Saturday is not just a countdown to royal romance in Britain. It is something a little more democratic – World Fair Trade Day (12 May). Think of the Fair Trade story and chances are that you think of coffee, chocolate or perhaps a Fair Trade dress or jewellery. The first product to carry a mass market fair trade label was coffee from a co-operative of indigenous farmers in Oaxaca, sold to consumers in the Netherlands. The principles of Fair Trade are simple enough. At its core is the idea that producers, even in the poorest of circumstances, and consumers, even in the richest, can meet each other’s needs through trade and that markets can be reshaped around that act of co-operation. 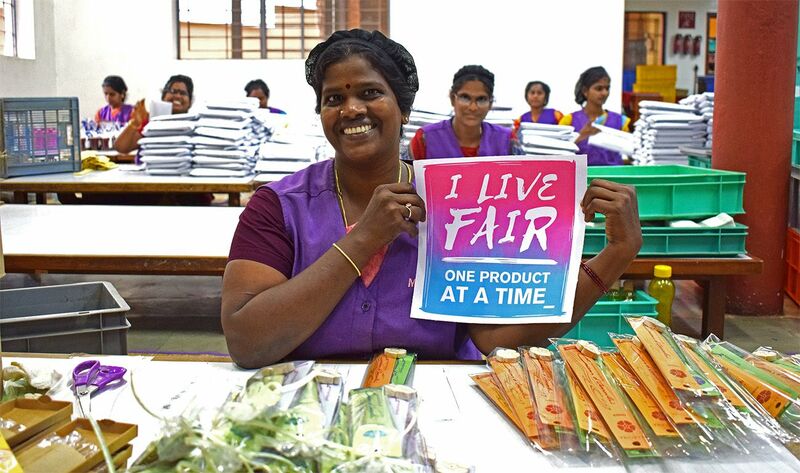 This is embodied in several ways across the Fair Trade movement, and the World Fair Trade Organization label is about the enterprises who produce what we buy – verifying that they and their supply chain is fully committed to Fair Trade. But what if those rules and business models were applied not to the enterprises bringing dried pineapples and Fair Trade tartans but to an entire economy? Can we have a Fair Trade Economy? Now is not a bad time to ask that question. In the last year, 80% of new wealth went to the richest 1% of the world’s population. Meanwhile, 3.7 billion people who make up the poorest half of humanity got none of that added wealth. Our economy isn’t working as it should. Alongside growth and record profits, we have stagnating wages, spiralling inequality and a planet stretched beyond its limits. To make it work, we need innovation and fresh ideas and the experience of Fair Trade provides some inspiration. There are three changes which would need to be at the heart of a vision like this. The terms on which trade occurs determines where money goes and drives much of the impact of markets. This is about the way businesses deal with each other when they buy and sell products or services, on their way to arriving with consumers. If cocoa and coffee markets pit farmers against each other, rewarding those who are willing to produce a set quality at the lowest price, we are creating conditions that trap people in poverty. The way trade happens can determine whether it is even possible for people who depend on that trade to reach a decent standard of living. The alternative that Fair Trade presents is trade conducted in a spirit of co-operation and long-term relationships. The elements of this alternative include fair pricing, long-term commitments, transparency and genuine supply chain partnerships. Fair Trade enterprises tend to trade with each other through long-term relationships, they pay fair prices, pay early and support one another’s quest to benefit the people who make the products. It is the antithesis of trade where everyone is maximising profits by cutting costs through short-term business dealing, pushing risk down to the weakest and pulling profitability up to the strongest players. For new business practice to flourish, we need a change in the shape of businesses operating in the economy. It is a commonplace assumption today that those who should own and control businesses will be investors. As a result, ownership of the economy has narrowed rather than widened in recent decades. As the World Inequality Report argues “economic inequality is largely driven by unequal ownership of capital”. If the gains from business go to those who invest financially, in proportion to their financial investment, rather than those who are involved and invested in other ways in the business, then we have hardwired business to drive inequality. The Fair Trade world is full of alternatives, where enterprises are owned or controlled democratically by people involved in the business. They are in it for the long-term and their numbers are considerable, in turn spreading wealth and prosperity. CORR The Jute Works in Bangladesh for example operates with a model of democratic leadership representing workers and producers on boards and management committees. When you have an enterprise that is structured equitably (e.g. through co-ownership as a co-operative), it has an effect on business priorities. The outstanding record of gender equality in Fair Trade businesses, far ahead of listed companies, is one illustration. Whether it’s women’s empowerment, sustainable use of natural resources or treating workers fairly, when the owners are involved in an enterprise, they can make trade-offs and decisions that are good for the business and for society but that would otherwise be crowded out in the pursuit of short-term profit. Third would be a new set of rights for the workforce. Creative Handicrafts in India is a Fair Trade enterprise that is owned by the factory workers, and has a structure where the workers are the priority and have the power in the enterprise (see photo below). The WFTO system verifies such enterprises. In Argentina and Nicaragua, there is now a specialist programme to finance worker buyouts of mainstream companies, The Working World, mirrored by similar efforts by Transform Finance in the USA. Meanwhile in a range of countries, such as the UK through the accelerator programme Unfound, a new generation of producer-owned technology firms are emerging, dubbed platform co-ops by writers Trebor Schulz and Nathan Schneider. Taken more widely, this is an agenda, as a campaign in North America – backed by the great European worker co-op network Mondragon – puts it, of ‘one worker, one vote’. The moral purpose is to recognise the fairness of rewarding effort in a workplace with a voice in that workplace – in short, a claim of economic democracy. The trend in today’s economy is the opposite – towards an aggregation of power to the company and away from those who work. If you have too much of an imbalance of power, then as Karl Popper argued, you have no freedom of exchange. One of the most radical lessons of Fair Trade is the potential that exists to build trading relationships that overturn assumptions of who has power and who has not. If these three together sounds far-fetched, then remember that this is exactly how Fair Trade was perceived when we started. One supermarket chief said he wasn’t going to stock Fair Trade goods, because “only vicars would be mad enough to buy them.” Now, there are hundreds of Fair Trade products on the shelves of European supermarkets as well as networks of Fair Trade retailers. This includes the convenience stores of the UK Co-op Group, which has the widest range of any retailer across the world. Fair Trade producers tend also to be co-operatives or draw on co-operative principles in how they work. There is already a scale to the wider co-op sector that is rarely recognised. There are 2.9 million co-ops across the world and globally, close to one in ten people are sustained or supported in work by the co-operative sector. Faitrade is not a blueprint but an experiment. 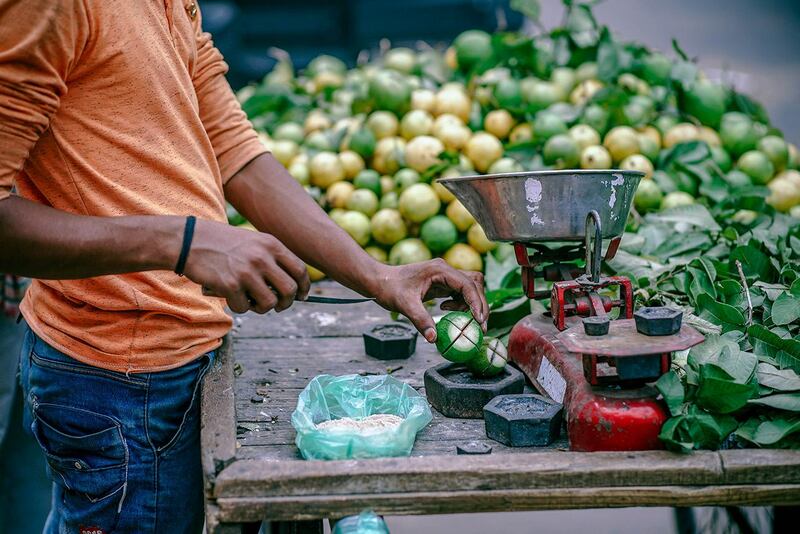 Fair Trade enterprises are diverse experiments in the question of “what if we made business differently?”. There is no standard way of replicating these models, but what they show is that business and markets can dance to a different beat. They can embrace cooperation and solidarity, prioritise goals other than profit maximisation and give real power to people in their capacity as workers, farmers and community-members. So what if the world economy was populated by such enterprises, and the rules of business, finance and trade fostered them? What if economic and trade policy shifted from rewarding investors and accommodating big business to dispersing ownership and changing the terms of trade? We’d bet there’d be less inequality, less poverty and a healthier planet. We can’t make this happen overnight, but we can decide to make a start. Erinch Sahan is the chief executive of the World Fair Trade Organization, whose 400 members are Fair Trade enterprises in over 70 countries. Ed Mayo is Secretary General of Co-operatives UK and one of the original team that started the Fair Trade Mark.